Illegal to Unlock Smart Phone or Tablet : Texas Tim Potter Expat Blog. As of now, it is not legal to unlock your new smart mobile device. This verdict, by the Librarian of Congress in Oct., is seen by many as a blow to consumers who wish to do what they want, when they want, with the mobile devices they own. Why is it not legal to unlock a smart mobile device or tablet? Unlocking a mobile device requires making modifications to its firmware – software that is copyrighted by your provider and a violation of the Digital Millennium Copyright Act. Every 3 years, the Librarian reviews the verdicts of the Digital Millennium Copyright Act, and makes exceptions under the law. In 06, they decided that mobile device unlocking should be exempted under Digital Millennium Copyright Act. But that changed in 2012. Because they were convinced, for a number of reasons, that allowing unlocking was no longer a necessary exemption. The reason listed by the Librarian is, an increasing population of mobile devices you can buy that come unlocked. Apple and its provider partners sell the Iphone 5 unlocked, for example. Nexus 4 also comes unlocked. T-Mobile has plans to offer more of its mobile devices unlocked. 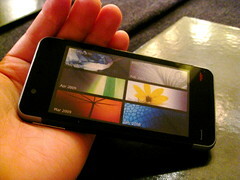 Retailers like Best Buy offer unlocked mobile devices. They decided that there is no reason to change the Digital Millennium Copyright Act to allow people to unlock any mobile device since people can buy an unlocked mobile device, if they choose to do so. The new court verdict has changed the interpretation of the law. In 2010, the 9th Circuit court decided owners do not actually own the software on mobile devices. Instead, we only licensing the software a key difference means that we don’t have a right to change that software. This was role in the Librarian’s verdict. Is it not legal to unlock all smart mobile devices? The verdict only applies to newly bought mobile devices, meaning any provider locked mobile device bought on or after Oct. 28, 2012, the date the new verdicts went into effect. If you buy a used mobile device or even a new mobile device not directly from a provider you are still allowed to unlock it. It’s also perfectly legal to buy a mobile device that comes unlocked. You can also, in some circumstances, ask your provider for permission to unlock your mobile device. Is jail breaking the same as unlocking? Jail breaking allows you to run apps on your mobile device that you couldn't with an un-jail broken mobile device, such as apps that are not available in the Itunes App Store. Jail breaking does not let you change to a different provider. Jail breaking is still completely legal under the Digital Millennium Copyright Act. Is there a legal way for me to unlock my new mobile device? AT&T will let you unlock your mobile device forever, given your contract has already expired. What happens if I unlock my mobile device anyway? Not Telling the verdict on that is not in. Please like and Share on Facebook if you liked this article.